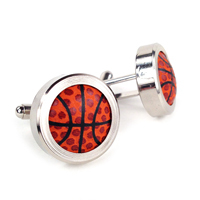 Sports-themed cufflinks provide a special finishing touch to your formal attire for weddings, prom, homecoming, awards banquets, or executive meetings. 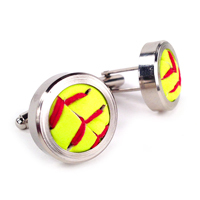 Show off the love you have for your favorite sport with a pair of cufflinks made from genuine sports ball covers. 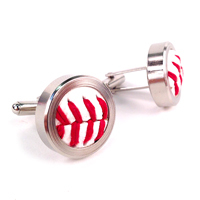 Each cufflink is handmade in the USA from baseball, softball, football, or basketball material. It's the same material used to make the petals on Sports Roses and set inside a cufflink with silver tone finish.